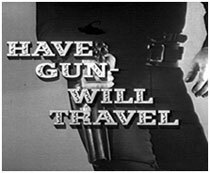 Do You Remember... "Have Gun Will Travel". Of the man called Pal-l-l-l-a-din. Johnny Western’s themesong perfectly set the stage for one of the most popular and beloved Western TV series of all time. 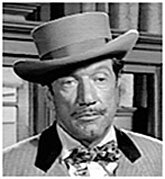 The 30 minute “Have Gun Will Travel” starring Richard Boone began on CBS September 14, 1957, and aired on Saturday nights 9:30-10 ET (preceding “Gunsmoke”) for six seasons, 226 episodes, through August 3, 1963. Boone perfectly exemplified the character with the improbable name of Paladin as a cultured, sophisticated, poetry spouting, sensitive intellectual who, nevertheless, hires out his quick gun to anyone with a problem. The carefully chosen name of Paladin means “trusted leader as in a medieval prince” or “champion of a cause”. same chess knight symbol on the holster; the knight symbol being a reference to his character. Boone once explained, “It’s a chess piece, the most versatile on the board. It can move in eight different directions, over obstacles, and it’s always unexpected,” which exemplified Paladin’s quests into the lawless west each week. A former West Point Army officer, Paladin was capable of speaking any language, possessed a thorough knowledge of ancient history, classical literature and poetry and employed an intuitive sense of chesslike strategy, often anticipating moves ahead of his adversary. Paladin met and solved any problem with a monumental self confidence. His origin was not explained until the first episode of the final 6th season, “Genesis”. To pay off a gambling debt, he was forced to hunt down and kill a mysterious gunman called Smoke (a dual role played by Boone sans mustache and with white hair). Smoke gave the Paladin character his nickname, facetiously calling him “a noble Paladin.” Upon his death Smoke reveals he was not a criminal gunfighter, but had protected the nearby town from the man who sent Boone. Boone—Paladin—then adopts Smoke’s black outfit and confronts the other man (William Conrad, who directed the episode which was unusually allegorical and mythical for a ‘60s TV western). Created by Sam Rolfe and Herb Meadow (with the original intention of being a private eye series) and produced by Frank Pierson, Don Ingalls, Robert Sparks and Julian Claman, “Have Gun…” opened as the #4 rated show for 1957, then followed up for three years ranked #3. The winning ratings combination of “Have Gun…” and “Gunsmoke” never faltered. For competition, NBC quickly dropped “Gisele McKenzie” for the “Turning Point” anthology, tried “Cimarron City” with George Montgomery (‘58-‘59), and “Five Fingers” (‘59) then apparently gave up, airing various news programs in ‘60-‘61. Saturday night movies helped little by the Fall of ‘61 on through ‘63. ABC never wavered with “Lawrence Welk”, geared completely to the geriatric set. The only other regular character on “Have Gun…” was the Chinese bellhop at the Carlton Hotel, Hey Boy played by Kam Tong. In the 4th season Hey Boy was replaced by Lisa Lu as Hey Girl while Kam Tong pursued a meatier role on another TV series, “Mr. Garlund” (aka “The Garlund Touch”), a miserable flop (Oct. 7, ‘60–Jan. 13, ‘61 on CBS). 101 episodes were directed by Andrew McLaglen and 19 were helmed by Boone himself. “Have Gun…” was one of the only TV shows to spin off a radio version. Usually, it was the other way around. 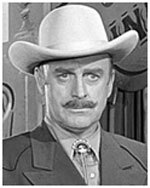 “Have Gun…” on radio starred John Dehner (left) and ran for 106 episodes from Nov. 23, ‘58, to Nov. 22, ‘60. 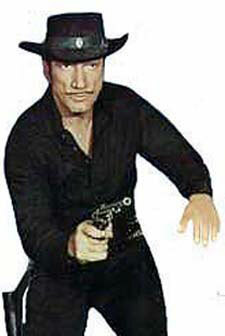 The Western world lost Richard Boone at 63 on Jan. 10, 1981. Kam Tong, 62, died in 1969. Lisa Lu, born in Jan. 1927 is now 88. John Dehner, 76, died Feb. 4, 1992.